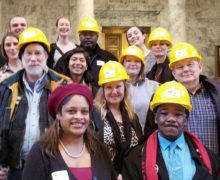 On January 18, 2018, the Washington State legislature finally passed their capital budget that includes $106.7 million for the Housing Trust Fund (HTF). The date is significant in that the budget was passed one day after the deadline for the federal affordable housing tax credit, thus jeopardizing many “shovel ready” affordable housing projects. The Washington legislature adjourned July 2017 after a scheduled 105-day session extended to a record of 193 day session without a capital budget. Lawmakers adjourned without approving the two-year capital budget after Republicans refused to pass it without legislation to address a separate issue, the 2016 Hirst court ruling about water rights. A capital budget requires a 60 percent majority in both chambers to pass. This was the first time in Washington State history that the legislature failed to pass a biennial capital budget bill. 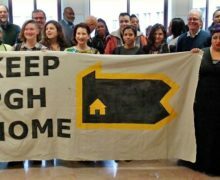 Heading into the 2018 session, the Washington Low Income Housing Alliance (WLIHA), Washington Housing Alliance Action Fund (WHAAF) and the Resident Action Project (RAP) stepped up their pressure on legislators to pass the capital budget. WLIHA continually advocated for the “shovel ready” projects that were waiting for the HTF money to be passed. They pointed to the fact that the Washington State Department of Commerce solicited and received 76 “stage two” applications to the State Housing Trust Fund for affordable housing projects around the state. The “stage two” applications are often ready to go, but for state funds like the HTF and low-income housing tax credit funds. 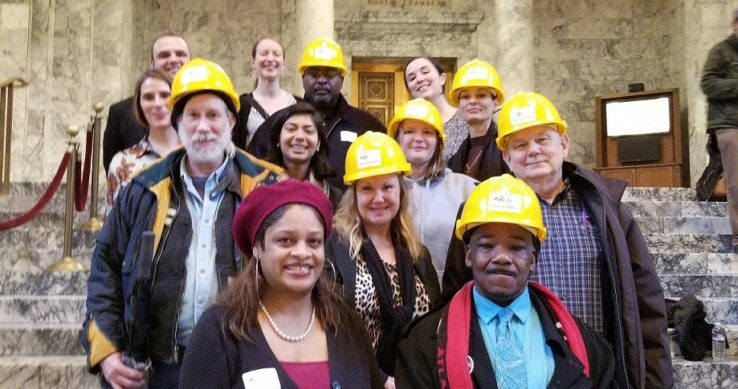 Beginning in December, RAP members put pressure on legislators organizing 8 weeks of action, utilizing multiple strategies: social media, in-district visits, phone banking, letters to the editor and ended with a visit to the Capitol pushing for passage of the capital budget as well as other affordable housing priorities. Hard hat wearing leaders visited all the legislators and delivered keychain shovels symbolizing the ready and waiting projects. WAAF creatively put public pressure on legislators through an ad campaign on internet news websites calling on the public to tell their State Senator to vote for the capital budget. All of this pressure paid off. The capital budget (SB 6090) passed the legislature with only one “no” vote between both chambers. There is no doubt that Washington faces a severe shortage of homes affordable to low-income households in communities across the state, and that the greatest impact of that shortage is increasing homelessness. The money invested in the Housing Trust Fund will address this by creating more than 3,000 affordable homes across the state. 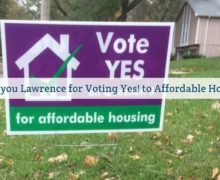 That the legislature passed this before the end of the second week of the session, with only one no vote, demonstrates a growing understanding of the importance of investing in affordable homes. However, this year Washington could still lose an opportunity to leverage $178 million in federal funds of Low Income Housing Tax Credits. Many of the proposed homes to be built need federal Low Income Housing Tax Credits to finance the projects. Since the deadline to apply for those credits was only missed by one day, the many shovel ready projects waiting on the state Housing Trust Fund were unable to apply to the state Housing Finance Commission. 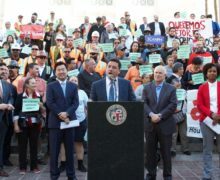 Advocates are urging the Department of Commerce and the Housing Finance Commission to work together to find a way to ensure those projects can still access the final funds they need. For more information on the Washington Housing Trust Fund, contact Racheal Myers at the Washington Low Income Housing Alliance at rachael@wliha.org.